•Supervises and directs patient care in an individual operating room.Notify the Care at Home Program office of any unsafe area in the client’s home. o Ensures that proper techniques and practices are used according to accepted standards of practice. o Supervises other personnel in the room and directs or assists as necessary. o Immediately reports any unusual occurrences to charge personnel, documents appropriately in the patient record, and completes hospital Incident Reports form if indicated. •Performs scrub duties as necessary and to keep current. •Maintains count on sponges, needles and instruments to ensure no loss of items according to present policy. •Performs all circulating duties with efficiency and speed o Supervises and assists scrub nurse as necessary. o Positions patient, prepares operative area, and adjusts table to proper position according to standard policies. o Has all supplies and equipment in room and provides to team as necessary. o Opens all sterile packs and supplies according to aseptic technique. o Assists surgeons, anesthesiologists, and other personnel as needed to ensure good patient care. o Observes patient for changes in condition. o Reviews surgeon’s preference cards for desired medications and verifies same with surgeon. o Ensures all medications are administered and charted according to established policies and procedures. o Identifies and records patient’s response to medication when necessary. o Refers to resource material (PDR, IV Manual) whenever necessary. o Promptly reports medication errors. o Cares for specimens and cultures as directed by set policies and procedures. o Maintains records of procedure and reports any unusual occurrences. o Provides orderly progression of schedule by sending for following patients at proper times and notifies charge personnel of any changes. o Accompanies patient to Post-Op or I.C.U. and reports to nurse on patient, procedure, and special happenings to ensure continuity of care. •Provides for continuity of individual patient care. o As staffing allows, utilize program of pre and post-operative visits to facilitate knowledge of patient, condition, and needs. o Receives and gives reports to and about patient as necessary to ensure good care. o Provides for psychological needs of patient. •Assists in control and maintenance of supplies and equipment. o Records used items in proper place and method directed. •Assists in administrative duties as directed. o Helps with maintenance of records and statistics. o Assists in establishment and maintenance of procedures, policies and standards. o Assists in scheduling of operative procedures. o Acts as charge nurse as necessary. •Assists in supervision of personnel and department to provide optimum assurance of safe environment. o Checks rooms, material, and equipment for proper care and handling. o Ensures clean, safe environment through continued alertness to safety and explosive hazards and aseptic techniques. o Coordinates with supply department to maintain high standards and quality in the materials used. o Assists in control of traffic and personnel to ensure proper control of infection and asepsis. o Assists in formulation and interpretation of procedures, standards, and techniques. o Assists in orientation of new personnel. o Assists in evaluation of all OR activities, nursing care given, and of personnel and techniques. o Avails his or herself in the ongoing nursing education process of the hospital. o Reviews pertinent periodicals, scientific and medical and related literature. •On –call for emergencies and available for additional duty. o Assumes accountability and responsibility for his or her own work performance and those under his or her supervision. o Observes assigned work schedules and hours. o Performs competently in new situations. - Minimum one (1) year experience as a registered nurse in an acute Perioperative unit preferred. - Previous experience on Post Anesthesia, Medical-Surgical, and Endoscopy patient care units preferred. - Current California Registered Nurse License. - Current certification in Operating Room Nursing (C.N.O.R.) preferred. - Membership with Association of Operating Room Nursing (A.O.R.N.) preferred. 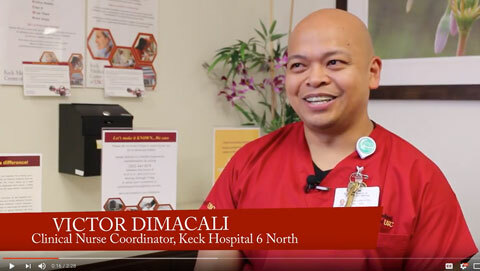 As part of Keck Medicine of USC, USC Verdugo Hills Hospital is the only community hospital in the Foothills area of Los Angeles backed by an academic medical center. 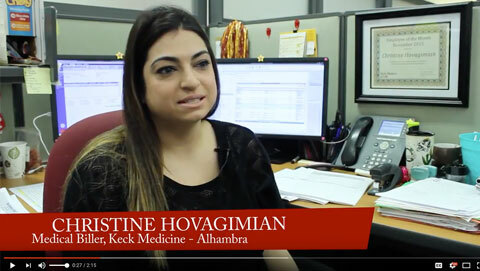 With its 40-year legacy of personalized care from expert physicians, experience nurses and a dedicated staff the community has come to know and trust, USC–VHH brings patients the latest medical advancements and 24/7 emergency services. Join this world-class team providing highly-specialized care, up-to-the-minute research and innovative clinical trials.